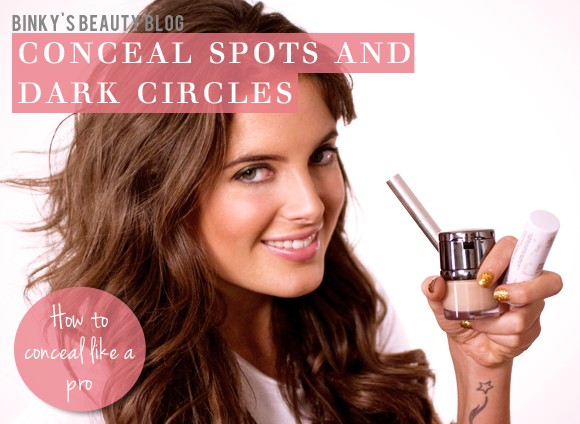 Hi everyone, I’ve had quite a few requests over the last couple of weeks to do a blog on concealing spots and under eye bags, so here it is! I know that January is such a dreary month and hopefully this will brighten (quite literally) it up a bit! I find my immune system is at rock bottom after the party season and just when you think you’ve shaken off the Christmas and New Year hangover and got back into the swing of things, a lovely big blemish appears…not fun! In these pictures, I’m wearing one of my favourite foundations, which is the Daniel Sandler Invisible Radiance and Concealer. This gives full coverage but still remains dewy which means it’s not too matt and it lets your skin breathe. I applied this to the centre of my face, on the forehead, nose and chin and blended outwards towards the hairline with a brush to make sure I got a really flawless finish. Also, a little tip from me, when your skin is breaking out, try to not touch your face with your fingers. When applying make-up your hands transfer a lot of dirt and grease onto your face which can induce spots, so try and apply with a brush or sponge! After you’ve applied your foundation and you’re happy with the finish, it’s now time to add concealer. It’s always best to put concealer over your foundation as it allows you to effectively blend it in. The last thing you want is draw more attention to a blemish by not blending properly! I apply concealer to any spots I may have, around the corners of my nose and anywhere else I think needs a little extra help. The thing I love about this product is that the concealer matches the foundation perfectly, so you can’t go wrong. If you’re looking for basic coverage, the above method is perfect, however if you really suffer from severe acne or even scarring, I highly recommend the Vichy Dermablend Cream Stick. With this product, a little goes a long way. Apply and blend building up the coverage slowly, layer by layer. I think it’s best to apply with a concealer brush rather than applying it straight from the tube as you’ll get a more natural finish that way. This concealer does an amazing job of not masking a blemish, but disguising it effectively and seamlessly, instead of caking, it melts into the skin’s surface. It’s a real lifesaver when a nasty spot crops up. I used to suffer from bad acne when I was at school and I really wish I knew about this product when I was younger, I think it might have done my confidence the world of good. Also it’s not too expensive. If you’re looking to brighten your complexion and get rid of dark circles, you need a brightening pen like Dior SkinFlash. This sort of ‘pen’ concealer is perfect for dark bags as it’s so light. Your under eye area is the thinnest and most fragile bit of skin on your face so apply a little gently and dab with your ring finger, do not drag it! You can even run this product down the centre and sides of your nose, to make your nose appear slimmer. I love applying this on the inner corner of my eyes to open them up or you can even apply it to the highest part of your cheek bones for some model-worthy bone structure. Finally, if you’re feeling a bit caked up with coverage, the La Roche Posay Thermal Spring Water is perfect. This is such a versatile product which hydrates and cools the skin. In these winter months, skin is begging for moisture and this is a very quick way to help with that. After cleansing, you can spray this on as a toner and then when it has dried add moisturiser or you can use it to set make-up, like I’ve done here in the video below. A spritz of this will loosen up any heavy make-up that’s been sitting on your face since the morning, it’s a great refresher. I use it in the summer when you get I bit hot and flustered too! To put it simply, it just feels sooooo good! I hope you guys find this little guide helpful and if you’d like me to do a particular topic or make-up look soon, drop me an email at binky@escentual.com. Brilliant value product, lasts for ages! I will continue to buy this product in the future and would certainly recommend it! 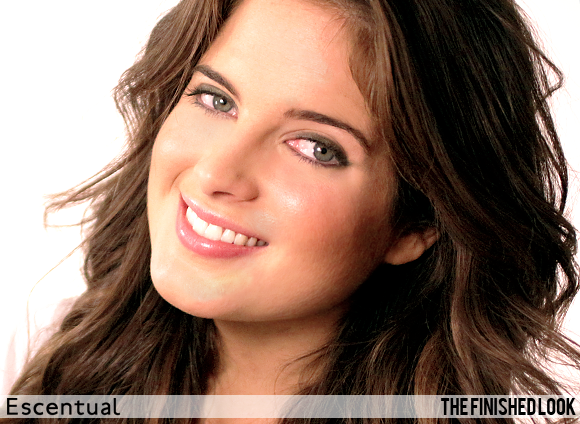 This entry was posted on Friday, January 18th, 2013 at 8:06 am and is filed under Binky's Beauty Blog #BBB, Hints & Tips, Make-up, Tried & Tested. You can follow any responses to this entry through the RSS 2.0 feed. You can skip to the end and leave a response. Pinging is currently not allowed.